The scorching heatwave across much of the country means that now more than ever, landlords really must attend to seasonal maintenance tasks, according to Just Landlords. To prevent minor issues potentially turning into bigger problems, the specialist landlord insurance provider is advising landlords to inspect their rental properties and address any matters of concern, not just in relation to the existing heat, but also in preparation for the colder&nbsp;months ahead. + Conduct a periodic inspection of your property. + Look out for damage caused by hot weather. Cases of subsidence, for example, are known to increase during hot, dry weather. 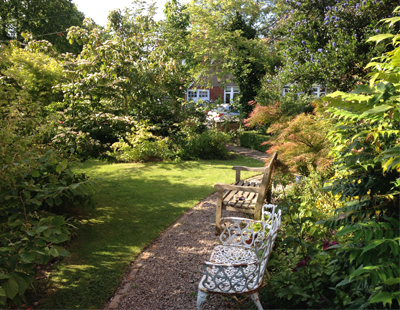 + Set your expectations for the garden &ndash; it&rsquo;s usually the tenant&rsquo;s responsibility. An overgrown garden can invite unwanted pests to your premises, as well as making it difficult to get the property back to a lettable condition when your tenants move out. + Look at windows and doors and ensure that they all open and close properly, while inspecting the window putty on the outside of glass panes. + Check your roof and chimney and ensure that leaves and debris are cleaned.